The price of specialized graphics processors – lapped up in recent years by cryptocurrency miners to power their rigs – are falling in tandem with a sharp drop in digital token values. That trend now appears to be reversing; add-in board (AIB) prices appear to be declining and supplies increasing – following the same path down as digital token prices crash. "We have predicted a drop in [application specific processors] as [digital] currencies prices dropped," C. Robert Dow, manager of digital media at Jon Peddie Research, said in an email. "The cost to run the mining rigs is not insignificant, so when the price for the currencies drop..., people will run rigs and choose to dump AIBs on the secondary market hoping to recover some cost." More than three million AIBs worth $776 million were sold to cryptocurrency miners in 2017, most of them coming from AMD, according to Jon Peddie Research. At the end of last year and into the start of 2018, many high-end expansion boards sold out and overall prices spiked, leaving gamers and tech enthusiasts angry. NVIDIA even took the unusual step of asking retailers of its hardware to prioritize sales to gamers over cryptocurrency miners. Over the past six months, however, bitcoin's price has plummeted from nearly $19,500 in December to about $6,800 today. Ethereum's prices dropped from a high of $1,385 in January to about $475 today. That downward trend has been mirrored in the GPU market. In April, for example, AMD's top-end OEM 4GB RX 580 six-pack – with a price tag of $3,600 – was sold out; today, not only is it available, but the six-pack is selling for $2,500. And an NVIDIA GeForce GTX 1080 Founders Edition, 8GB GDDR5X PCI Express 3.0 Graphics Card that sold for $1,050 then can now be had for $709. Other factors could also be pushing down GPU prices. NVIDIA has not introduced a new family of GPUs since its 10 series Pascal arrived in 2016; the lack of new inventory, Dow argued, means the NVIDIA cards now compete with newer options from rival manufacturers. "We also suspect that NVIDIA and AMD have some built up inventory, and ... that will affect ASPs as well," Dow said. "Prior to the surge in buying of AIBs for cryptocurrency mining, AIB prices were flat to declining slightly which is a trend that will continue at least until new families of cards are introduced." NVIDIA's next-generation GPUs may not appear before the end of the year "until after inventory returns to safe levels," according to Taiwan-based DigiTimes. "There is a pent-up demand given that gamers were not buying new boards due to cost and lack of new options," Dow said. "There are some amazing games set to be released this fall, so we suspect that this will impact the market as well and stabilize prices." At the end of June, DigiTimes reported that sales of ASIC-based cryptomining systems had been significantly hurt by slack demand. As a result, GPU prices were predicted to drop by about 20% this month. "Currently, the worldwide graphics card market has an inventory of around several million units and NVIDIA has around a million of GPUs waiting to be released," DigiTimes reported. 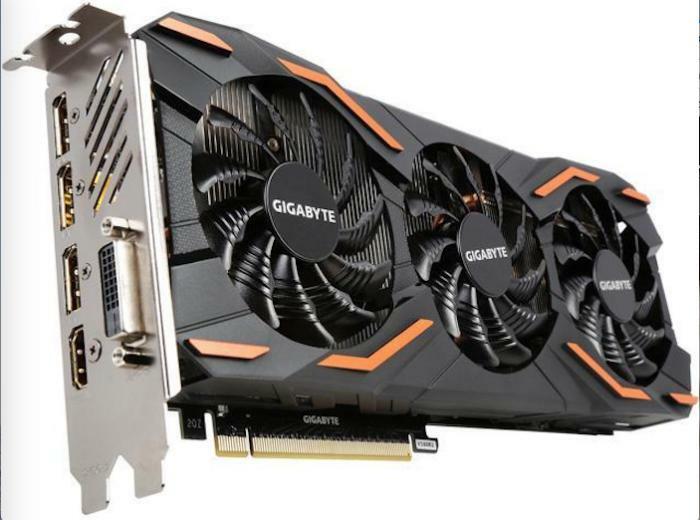 "With cryptocurrency miners also expected to begin selling their used graphics cards to the retail channel, vendors are expected to introduce major price cuts to compete." Other moves could further roil the GPU market this year. Chinese ASIC maker Bitmain Technology Ltd. in April announced it was taking orders for a new Ethereum mining chipset – the Antminer E3 – which retails for $800. Bitmain, which leads the Bitcoin market in terms of processor power and operates the two of the world’s largest cryptocurrency mining operations, is expected to turn up the competitive pressure on other ASIC makers with its latest chip set.